So I finally managed to get to meet the Chosen gang after their Cardiff event in March was snowed off. It was an early start but thankfully it was the day the clocks went back an hour so technically it wasn’t as bad as it could be but I did certainly be a bit on the groggy side! The drive into central London wasn’t half as bad as I thought and with my more streamlined set up the boot wasn’t neatly as loaded to the rafters as it usually is so unloading was a little easier but I of course was still the last one to finish setting up and the last one to finish packing down after the fair finished. A busy day right from the get go! So I was on the end of a row and it took a little while for people to get round to me but I was soon chatting away to some lovely couples. 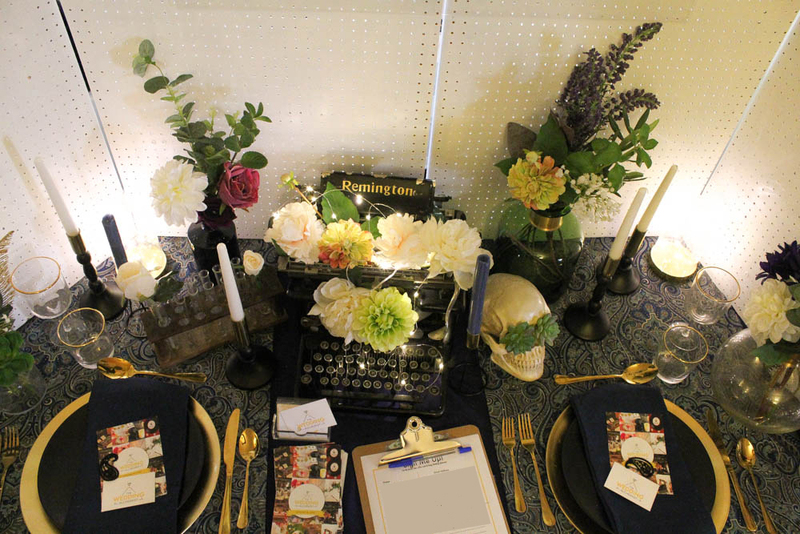 There were some really interesting wedding styles and ideas out there. The Islington Assembly Hall was such a lovely venue, even on what was a bit of a drab autumn afternoon weather wise. So here is my set up. A little bit on the spooky side as it was almost Halloween after all! The new peg boards work a treat and are so much easier to fit in the car, but they did block a lot of light out in this particular position so I am glad I bought fairy lights! 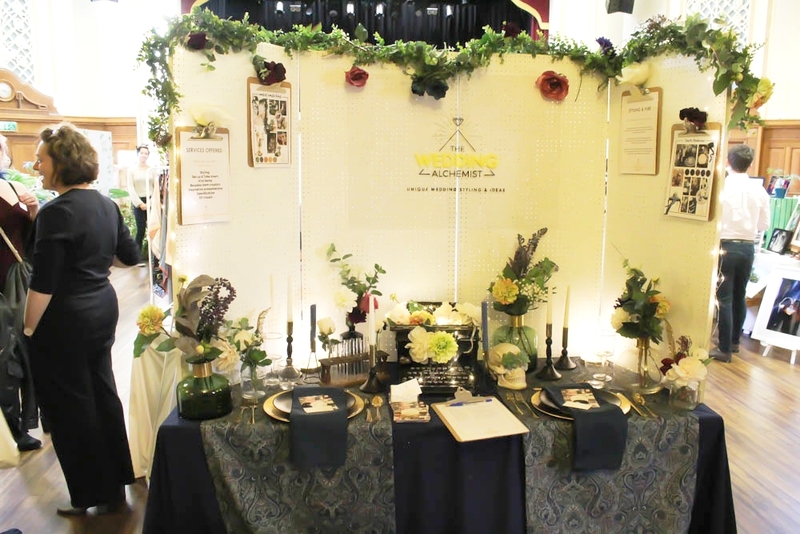 As some of you know I like every wedding fair display to be different and this one was great fun to work on. In particular I love the table runner the most. I found the most beautiful fabric at my local fabric shop and just couldn’t say no! It was also the first fair I have done with my new studio so packing and unpacking was an easy feat compared to previous events. There were some lovely displays and I couldn’t capture them all so here are just a few for you. Vicki Pearce had some lovely Jewellery pieces on display. My lovely Neighbour for the day Ashely Wild Bridal had some great millinery pieces and veils but I also love her branded boxes, how classy! Very jealous of Hamish Irvine, who was pretty much set up before I had even arrived, talk about organised! I’m watching my figure at the moment, but I wanted to eat (and drink) everything on La Sweet Galerie’s table! And…… the Pastry Girls table! Seems everyone was tempting me away from me from the diet! I loved this display from Sidey Clark. Cute is the only way to describe it! And my other neighbour for the day Francis + Louise who had some lovely colourful pieces. There were so many other fantastic suppliers there I didn’t get a chance to snap. Make sure to have a look through them all here! All in all a Fantastic day and I didn’t kill myself or others driving in and out of Central London. (for those who do not know me, I am a terrible driver!) 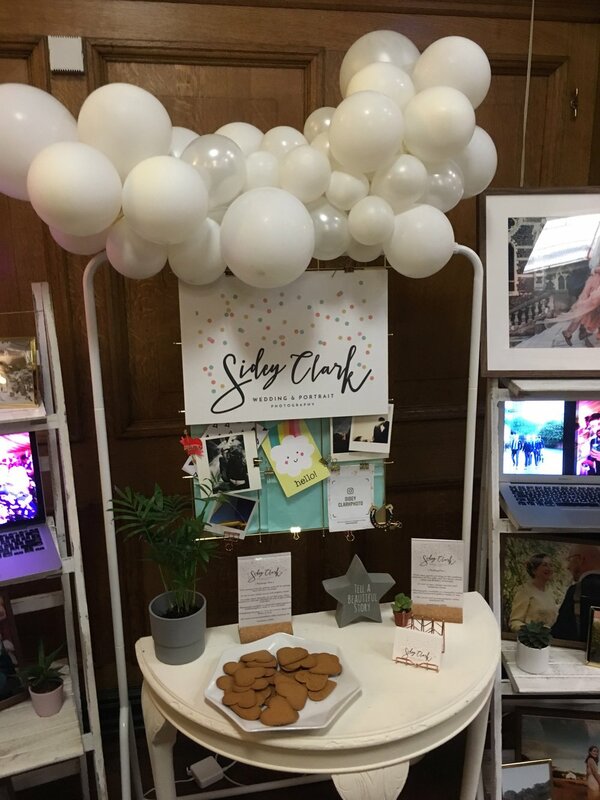 Thanks to the Chosen Wedding Team for putting together a great event and all the lovely couples I had a chance to speak to. I certainly earned a lie in on Monday morning and a long bubble bath! That’s all for now, hope you all had a great Halloween and had more treats than tricks. Get in touch with The Wedding Alchemist using the form below!